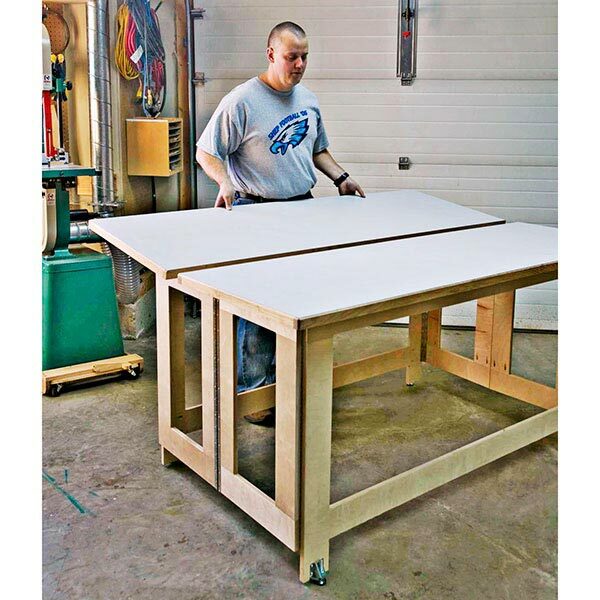 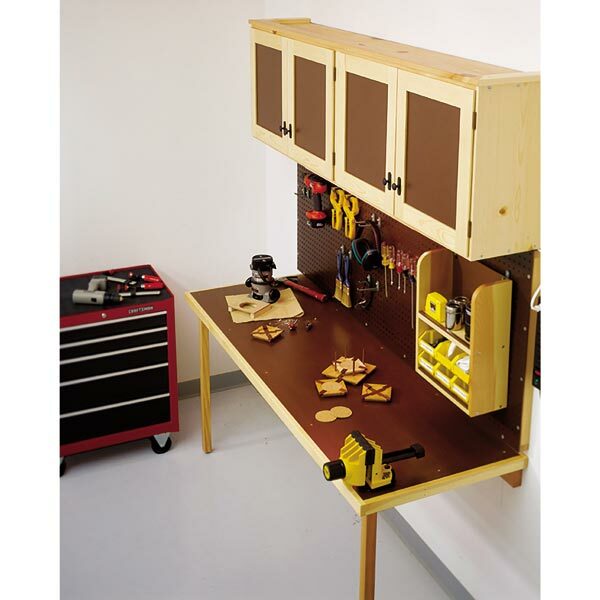 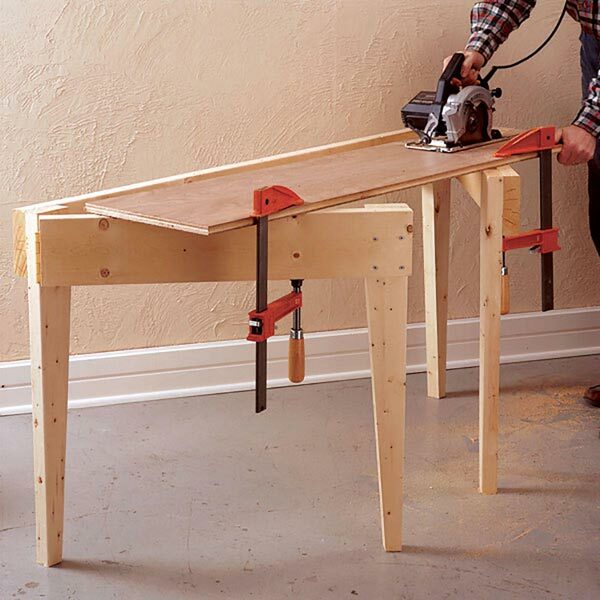 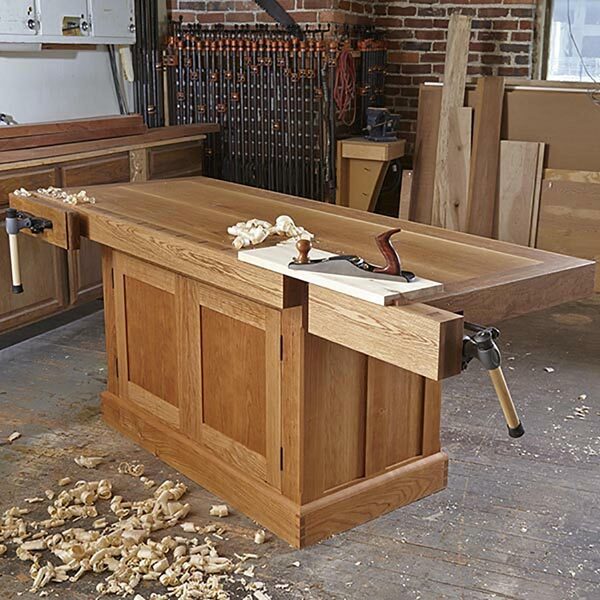 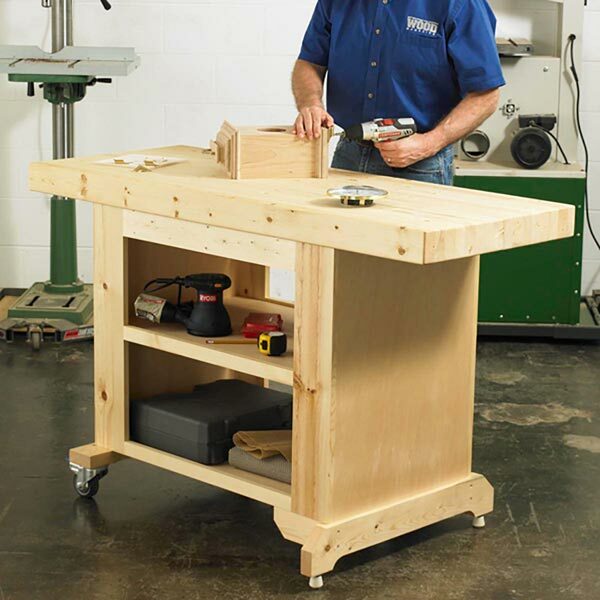 A rock-solid workbench and plenty of storage are essentials in any shop. 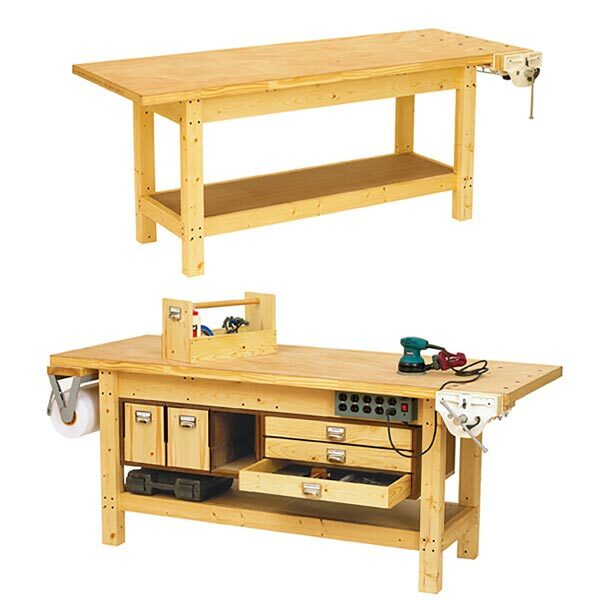 Of course, both require space, which is especially tough to find in a shop that shares the garage with cars or has to fit in a confined basement room. 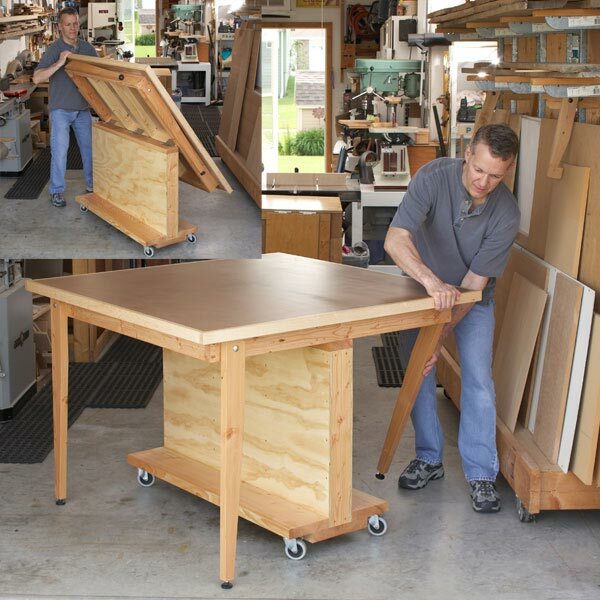 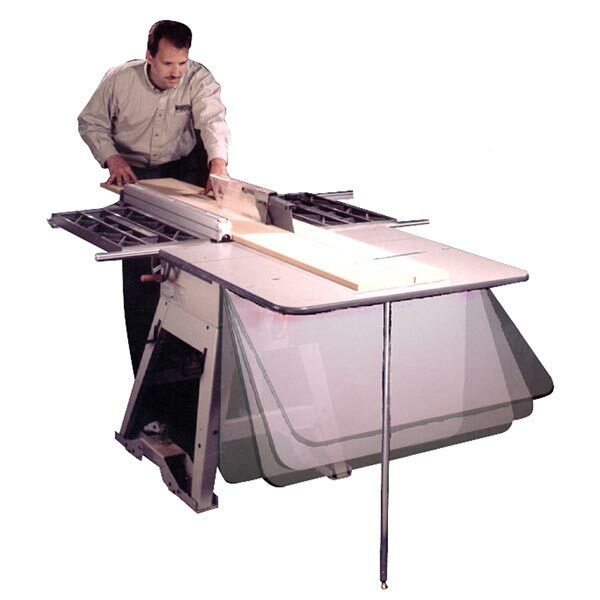 This work center offers a solution for both situations, with a sturdy bench that drops out of the way when no longer needed, a big storage cabinet, and a handy perforated-hardboard tool-hanging rack. 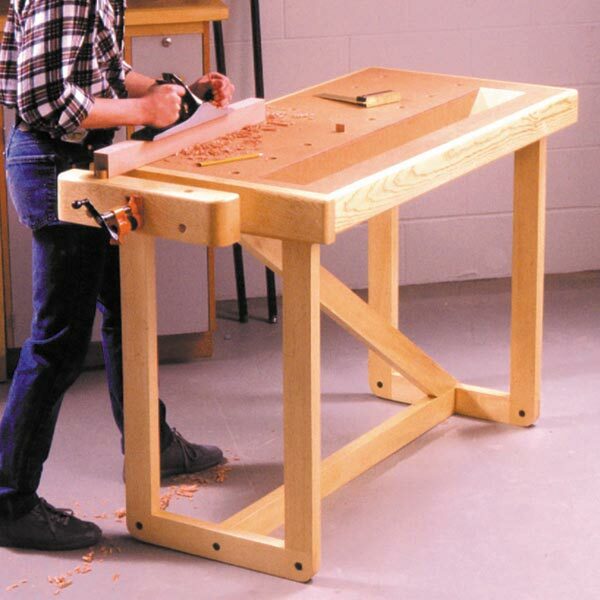 Measures approximately 71" wide and 62" tall.